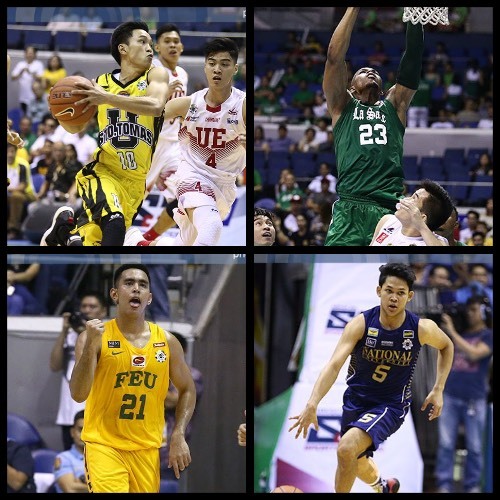 Hoop Nut #UAAP79 Adamson Ateneo De La Salle FEU NU UAAP UE UP UST #UAAP79 Roundup: UST, DLSU, FEU, and NU are big winners on Days 3 and 4! #UAAP79 Roundup: UST, DLSU, FEU, and NU are big winners on Days 3 and 4! Image by Arvin Lim/ABSCBN Sports. Days 3 and 4 of #UAAP79 saw DLSU and NU move up to 2-0, while UST and FEU got good bounce back wins after separate opening game losses. 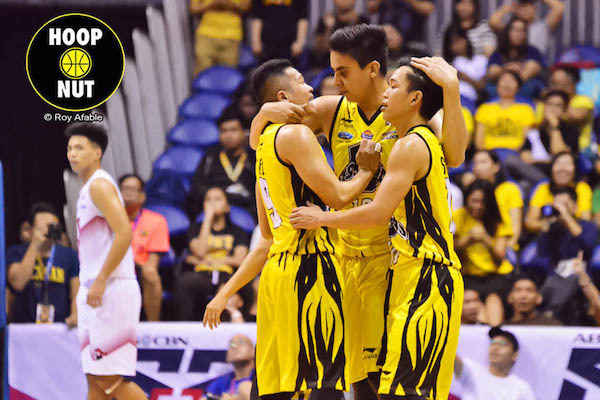 The UST Growling Tigers needed to make some big plays in the endgame as they held off a late UE run to preserve a big comeback win over the Red Warriors, 88-87, in UAAP Season 79 action on Saturday at the SMART-Araneta Coliseum. Renzo Subido had a breakout performance, scoring 26 big points to lead UST. He only scored a total of eight points all of last season and had two points in the Growling Tigers season opener against Ateneo last Sunday. Louie Vigil entrusted his teammates with the big shots against UE. 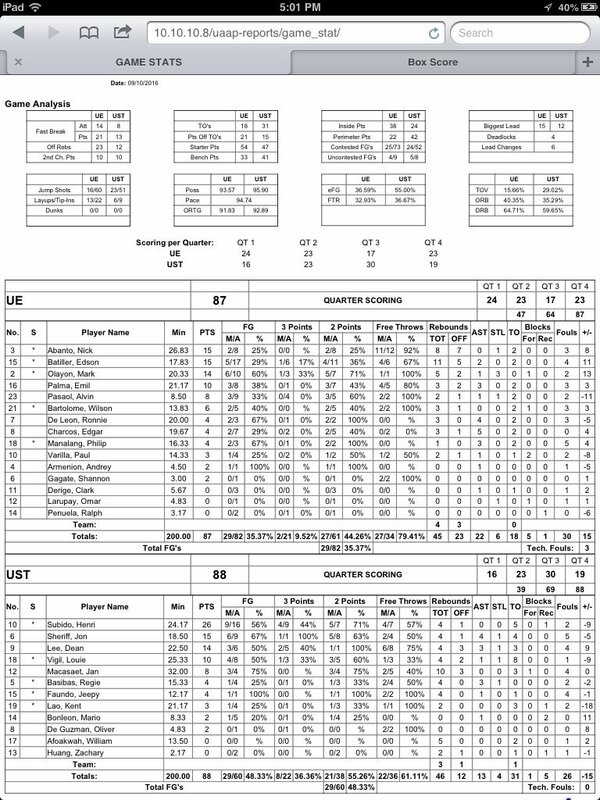 Jon Sherrif added 15 markers while Marvin Lee chipped in with 14 for UST, which improved to 1-1. UE is now 0-2 to start their campaign. Renzo Subido (UST) - 26pts, 4rebs, 4 triples, 9/16 FGs. BonBon Batiller (UE) - 15pts, 11rebs, 2asts. 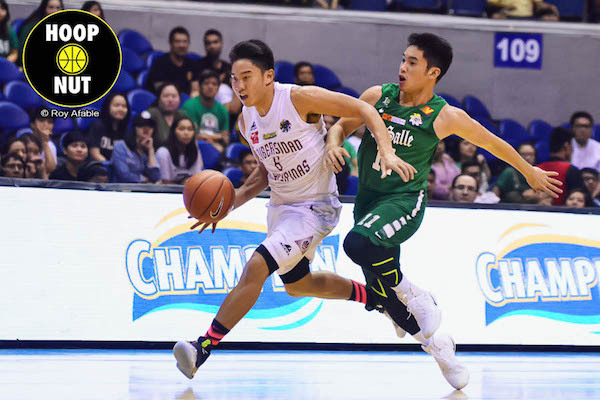 The De La Salle Green Archers led by as many as 28 points in an impressive show of strength, routing the UP Fighting Maroons, 89-71, in a lopsided UAAP Season 79 clash on Satuday at the SMART-Araneta Coliseum. 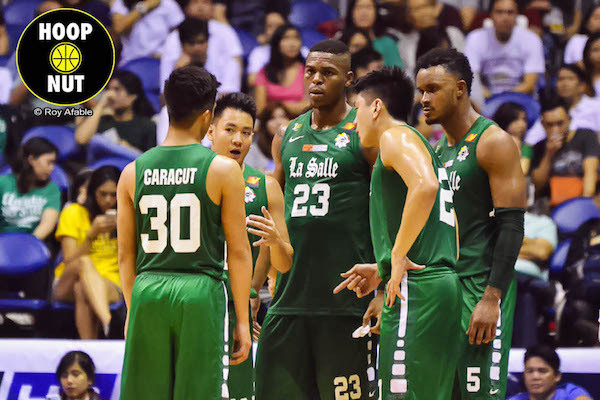 Ben Mbala starred for La Salle, tallying 30 points and 14 rebounds in another dominant performance for the Green Archers, who have now won their first two assignments. DLSU's depth was at the forefront again. Jett Manuel tries to get past rookie Aljun Melecio. 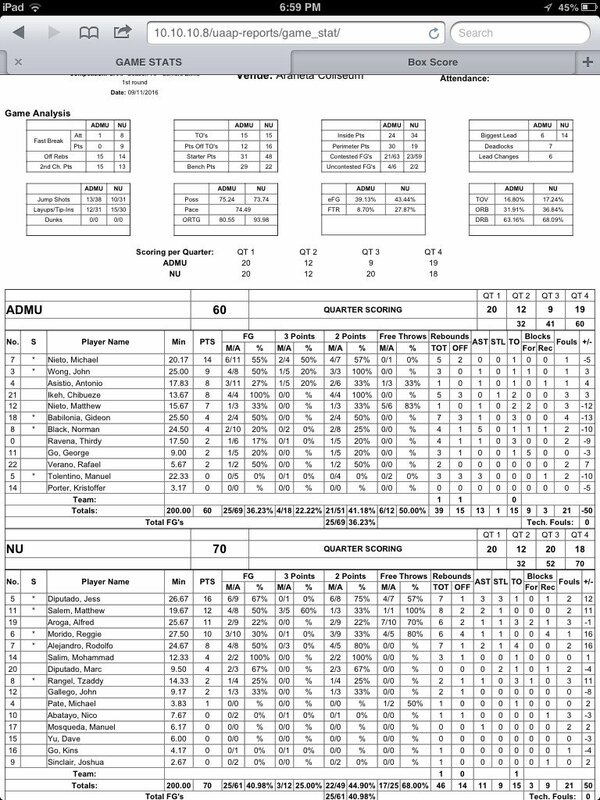 Jeron Teng and Abu Tratter each added 12 markers in the win. UP, which was led by Paul Desiderio’s 21 points, is still seeking its first win after dropping down to 0-2. Ben Mbala (DLSU) - 30pts, 14rebs, 1ast, 1stl, 2blks, 12/15 FGs. Paul Desiderio (UP) - 21pts, 7rebs, 1ast, 1stl. The defending champion FEU Tamaraws shrugged off their season opener defeat as they cruised to a solid victory over the Adamson Falcons, 75-65, in a UAAP Season 79 clash on Sunday at the SMART-Araneta Coliseum. 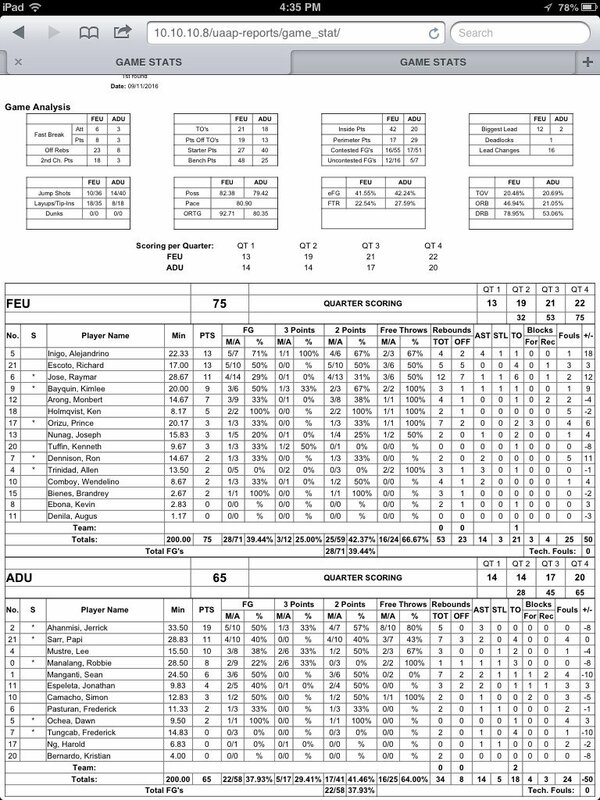 FEU turned in a balanced offensive showing against Adamson with no one scoring more than 13 points. Richard Escoto and Axel Inigo each scored 13, both personal-bests for the players. Raymar Jose added a double-double of 11 points and 12 rebounds while Kimlee Bayquin also had a career-high with nine markers. They also played solid defense after holding Adamson, which exploded for 104 points in their opener, to just 65 in this one. Raymar Jose (FEU) - 11pts, 12rebs, 1ast, 1stl. 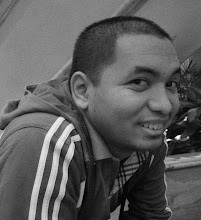 Jerrick Ahanmisi (ADU) - 19pts, 5rebs, 3asts, 1 triple. 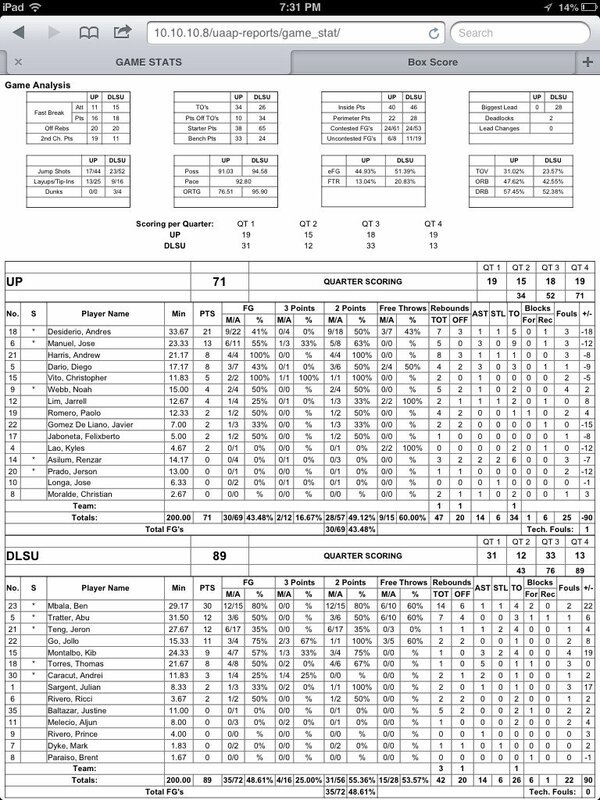 The NU Bulldogs proved their mettle amidst a gutsy stand by the Ateneo Blue Eagles, 70-60, as they kept their UAAP Season 79 sheet clean on Sunday at the SMART-Araneta Coliseum. Rev Diputado posted 16 points, seven rebounds and three assists in a steady performance for NU, which is now 2-0 for the season. Matt Salem tallied 12 points and eight rebounds while Alfred Aroga added 11 markers, six boards and two blocks for the Bulldogs. Ateneo, which won its first game against UST, dropped to 1-1. J-Jay Alejandro challenges Anton Asistio. Adrian Wong denies Josh Sinclair at the cup! Rev Diputado (NU) - 16pts, 7rebs, 3asts, 3stls, 6/9 FGs. Mike Nieto (ADMU) - 14pts, 5rebs, 2 triples, 6/11 FGs.